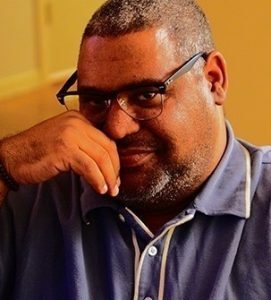 Chris Abani’s books of fiction include The Secret History of Las Vegas, Song For Night, The Virgin of Flames, Becoming Abigail, Graceland, and Masters of the Board. His poetry collections are Sanctificum, There Are No Names for Red, Feed Me The Sun: Collected Long Poems, Hands Washing Water, Dog Woman, Daphne’s Lot, and Kalakuta Republic. He is the recipient of a Guggenheim Fellowship, the PEN/Hemingway Award, the PEN Beyond the Margins Award, the Hurston Wright Award, and a Lannan Literary Fellowship, among many honors. His work has been translated into French, Italian, Spanish, German, Swedish, Romanian, Hebrew, Macedonian, Ukrainian, Portuguese, Dutch, Bosnian, and Serbian. As part of the Dillon Johnston Writers Reading Series, Abani’s reading will take place on on March 20th at 6:30pm in the Hanes Art Gallery.